Make Money Blogging in Just 6 Months - Here's how! How I Turned My Blog Into a Career – In Just 6 Months! **Affiliate links are used: If you purchase through my link I will receive a small commission! I only ever recommend products/services that I absolutely LOVE and use myself! The support of you purchasing through my link allows me to continue to pursue my dreams and help you and others pursue yours as well! So I thank you for any and all support!! Years ago it all started, in middle school. I was in 7th – 8th grade when youtube took off. I would always watch youtubers doing their thing! I saw how many views some of them were getting, it was shocking! I thought, wow, how fun! I would love to be like them. Time went on and now I was in high school. At this point I was obsessed with watching beauty gurus on youtube. Some days I would just binge watch for hours straight. They were all so talented and knew how to keep me entertained! I truly, looked up to them. They would show off their life, all the beauty products they’d try out and use, and I quickly began noticing that they were making a living through youtube! This was so crazy to me. You could make a living off youtube?! That made me think what other ways could I make money online? I always wanted to create my own youtube channel BUT talking to a camera wasn’t my thing, not to mention being able to afford a decent camera was out of the question. BUT, all through high school I really enjoyed writing, especially creatively. I knew blogging was “a thing” but wasn’t sure how popular it was. I decided to put all of these dreams on hold as graduation became near. Why? Well, because my friends and family were pushing me to go to college. I knew that college would be a ton of work and decided to listen to the voices telling me, go to college! You need college to be successful, that’s what they all told me. Fast forward to college – it was absolutely terrible. The whole experience for me was just awful. I was never happy, I couldn’t find anywhere to fit in, the classes bore me, and trying to find any sort of motivation to push forward was SO difficult. I began to feel depressed because I knew all of my friends and family really wanted me to complete my higher education, but how could I? I was throwing my money out the window…and let me say, college is SUPER EXPENSIVE! Did I really want to be in debt most my life for a piece of paper that gives me a “degree” in something that doesn’t even make me happy? NO. Needless to say, I dropped out of college. YUP. I said it. I am a college dropout. Am I ashamed? Absolutely not. I believe that you can be successful WITH OR WITHOUT a college degree. But, you can’t be successful without determination. SO – ever since I was in high school I waited tables. I had one or two other jobs that weren’t in the food industry BUT they were very temporary. Most of my career consists of serving jobs. About 8 years to be exact. Let me be the first to say, serving is NOT fun. As easy as it sounds, it can be very stressful, and it can make you realize just how badly you need a change. Here I am, a server with no college degree. I would apply to tons of other jobs and the response I would get would always be the same, “Sorry, but as much as we love your resume, you do not have enough experience to qualify for this position.” again, and again, and again. It started to become disheartening. I couldn’t even score an interview because no one was willing to give me the chance. At this time in my life I was very discouraged and became depressed. Some nights I would burst into tears randomly because I couldn’t even afford groceries. I would go into work to have a customer yell that their fries aren’t hot enough or that they can’t get a free burger (sorry sir, but not everything in life can be free just because you “complain.”) People would decide to mess with my pay check + bill money by not tipping me – JUST BECAUSE – I know i’m worthy of a tip, I have been doing this for years now, it’s nothing new. I just knew that if I continued down this road I would always feel strapped for money and completely miserable. It was time to make a change. This is when I decided, if no one wants to give me a job – then it’s time I make one for myself. I stayed up crazy hours of the night reading the latest “how to start a blog” tips and “how to make money blogging.” I’d research for what felt like FOREVER. Until finally, I went for it. I started my own blog. I started my blog back in April of this year – 2017. Fast forward a couple of months – (3-4) and I started seeing my first actual income from blogging. On top of that I was receiving a ton of brand sponsorships! I was amazed. Now fast forward 6 months later, I began seeing a steady stable income of over 1,800 a month! Incredible. I couldn’t believe that all my hard work was finally paying off. I won’t get into exactly how much I make a month, because that’s personal. But I will say, i’m about to quit my full time job + take on my blogging journey – FULL SPEED. Okay Ell, get to the moral of the story please! 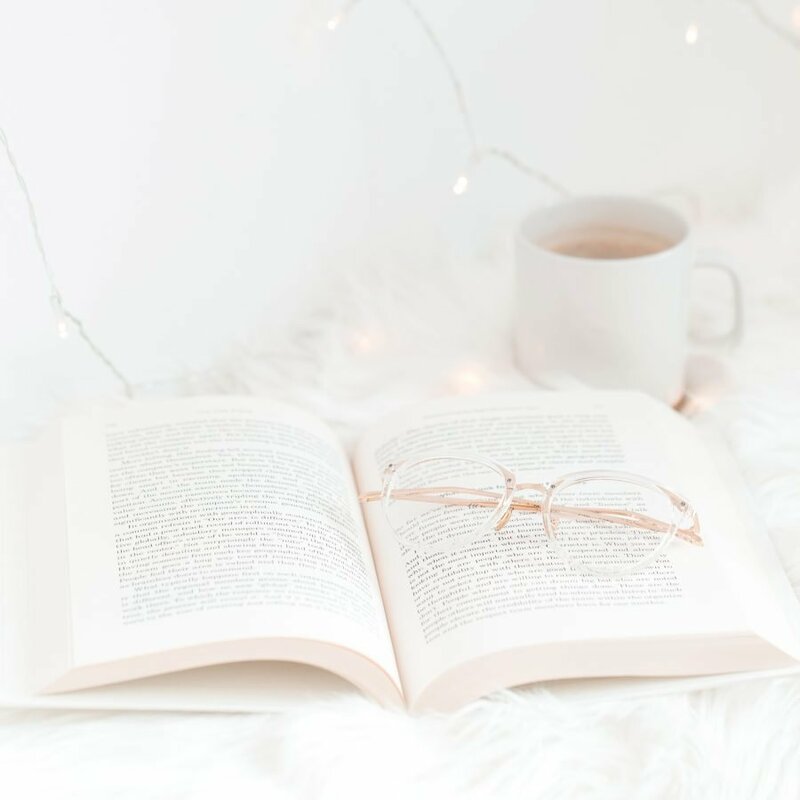 This is the moral of the story: You may feel stuck right now, maybe you feel as if your blogging journey isn’t going anywhere, you feel like you can’t make money blogging, and you hate your full time job so much! Maybe you know there is something out there for you but you are afraid to pursue it? Let me be the first to tell you – YOU CAN ACHIEVE ANYTHING YOU PUT YOUR MIND TO. Don’t you ever let anyone tell you otherwise. I had so many who doubted my abilities. They would tell me, “blogging? Really? Get a real job! Go to college! You won’t find success otherwise!” and guess what… I let the haters be my motivators! All those who doubted me are the reason why I succeeded! And you can too!!! I NEVER would have thought that i’d be where I am today, and I am so grateful for everything that has and is coming my way. I used to think, wow I want to be like them + here I am… Living the life I always wanted. Let me tell you, you CAN make money blogging. (as of January 2018 9 months in, I am making $8,000 (as of March 2018) a month through blogging! Of course, not everyone’s journey to success is at the same pace, and there are always bumps in the road BUT if you follow my advice, I promise you, you will find your “success” (whatever that means to you!) sooner rather than later. First, you need to make sure your passion is in your writing and that this is your number one reason why you started your blogging/biz journey. If you don’t have the passion, you will get “sick” of your journey and you might end up giving up. Your number one reason should never be to make money blogging, but of course it can be a focus point, just not the main focus. You can absolutely hope to achieve that but if it’s the number one reason, you may get discouraged in the beginning because you do have to be patient before you see the money signs. Now, think about what it is you find passion in writing about. Is it beauty? Health and fitness? Graphic design? Self care and motivation? Whatever you write about, make sure it’s what you enjoy talking about! If you don’t enjoy talking about it, you will give up quickly. The thing with blogging is, those who aren’t passionate about it never make it to the end. Plus, why would you want to blog if it doesn’t make you happy anyway? Always go after what makes you happy! If you are ever hoping to make money blogging then you need to take your blog seriously. This is probably my NUMBER ONE tip. You have to treat your blog/biz as if it is your job already. You can’t take weeks off of work whenever you want, therefore don’t take weeks off whenever you want from your blog/biz. I see too many times that others are wanting to take a month break to refresh their minds. This doesn’t always end well. During that month span, your readers will wonder where you went and they will slowly become uninterested. You will also miss out on a huge chunk of time where you could have been bettering your blog/biz. Trust me, I know it gets tough and you start to feel overwhelmed and you want a break. BUT, long breaks do more harm to your blog/biz than good. You have to be consistent and dedicated. This is seriously how I got where I am today, dedication. I would stay up late hours of the night working on my blog/biz even after long doubles at my full time job. Having a blog/biz is a commitment. If you stay dedicated and consistent you will see the money sooner. But you have to give your blog/biz your absolute ALL. This may mean, sleepless nights, early mornings, long weekends, and the loss of netflix time. If you need a break (because yes breaks are necessary) give yourself a weekend off, just like any other job. But PLEASE don’t give yourself too long of a break. It will pull you back. If you are wanting to make money blogging sooner rather than later, you need to invest right from the beginning. I know it’s hard and you may feel it’s not worth it because “what if this blog/biz dream doesn’t work out.” You have to shake these thoughts because if you go into your blog/biz career with a negative mindset, you will not succeed. You are what you think you are. If you think you’re great then you will achieve damn greatness. If I knew about self hosting in the beginning, I would have started my blog out that way. Self hosting is when a server “hosts” your blog. You sign up for the self host and install wordpress .org onto your self host account. This is what you would create your blog on and it’s easily the SMARTEST blog platform option. There are so many reasons why I recommend self hosting a wordpress .org blog. From the SEO it gives your blog to the design option/flexibilty, and for the fact that it makes monetizing your blog SO simple! It’s also the most affordable option (besides free platforms which REALLY restrict you.) Also did you know that most of your readers probably use their mobile phone when reading your posts. A self hosted wordpress has the best mobile display compared to wix, blogger etc. I have a whole dedicated blog post on why I chose to self host my blog – HERE – I use Site Ground for my self host. It starts at $3.95 a month/ $48 for the whole year via my link and in my eyes they are the BEST option out there. Couldn’t be happier with self hosting wordpress .org through Site Ground. I never recommend anything that I don’t enjoy personally. The reasons why they have been so great is because; their server speed is fast + never gives me any errors which i’ve heard is an issue at times with bluehost. I also LOVE the support team. They are quick responding and I messaged their 24/7 instant support when I was transferring from wordpress .com and they transferred everything for me at no additional cost which was amazing!! Not to mention their security is super high! Can’t recommend them enough. Once I invested in my lighting for indoor photography my image quality went up and so did my following. You need to put effort into your photography and take all your content seriously. As humans we are very visual. People will be more drawn to content that is appealing to the eyes, not blurry – grainy images. I use the Neewer Ring Light and LimoStudio Box Lighting . Investing in a camera is great too! DSLR cameras are the best. The Canon EOS Rebel T6 DSLR is one of my favorites! Investing in a theme/design for your blog + biz can pay off immensely. If you have an easy to navigate theme that isn’t too “busy” you will find that readers will stay and want to come back. Again, appearance is pretty important when it comes to your blog/biz. Some themes I love can be found on Creative Market , ALSO HelloYouDesigns have amazing options! Having a blog life coach can really help you stay on track, keep motivated, and teach you how to be successful at blogging. Make sure your blog coach is someone that you trust. I actually just started offering blog coaching services and it’s been a lot of fun so far getting to talk one on one with some amazing ladies! If you are interested check out my services page. I definitely recommend investing in some e-courses! Of course do your research FIRST because there are a ton of EXPENSIVE e-course out there that are filled with nonsense. You’d be surprised, some of the best e-courses are the least expensive! ENROLL in the BEST VALUED ECOURSE on the market & Explode your blog traffic and affiliate sales! After Utilizing the strategies in this E – Course my daily blog views went from 200ish to 1,000!! In less than a month! Now I get AT LEAST 500 views a day from Pinterest. The power of Pinterest is mighty! Definitely recommend splurging the $15. The truth of the matter is: You are what you think you are. If you tell yourself that you aren’t good enough or that you think you are wasting your time, you will slowly begin to believe those thoughts and those thoughts will become you. INSTEAD try looking at the positive parts of your journey. Tell yourself, wow! Look how far i’ve come. Most of the time when someone doesn’t reach their success – it’s because they gave up on it. Think this; if you give up on your journey, all that time and growth is wasted! Don’t give up! Remember, you are capable of anything you put your mind to. It took me a lot of practice to get my mind at peace. There was a time when I thought that I was never going to see a single dollar. Well I stopped focusing on the money and told myself – Lauren, you LOVE doing this so why does it matter if you make money or not? That’s when eventually, the money started to come. Now each day I look back at where I started and compare it to where I am now and feel overwhelmed with happiness. Don’t ever let all that you’ve worked on thus far go to waste. I know there are plenty of people out there who don’t understand the “blogging” thing. They will probably tell you that you are wasting your time. Or maybe they will tell you to “get a real job”. LITTLE DO THEY KNOW – one day this can be your REAL JOB. If you are making money – it’s a job. To this day I still have friends and family who really don’t understand just how great this is becoming for me. So, if you want to succeed, let these negative nellies be your motivation to rise. What’s better than proving someone wrong? LOL. I will continue to rise and prove to everyone who’s ever doubted me that I can achieve anything that I put my heart and soul to. You need to do the same! Going after your dream of becoming a successful blogger can be a lot of work. It’s extremely overwhelming so I suggest getting organized! I love using planners and notebooks to keep me organized. I have one planner where I plan out what blog posts I want to have up for what days. This helps to keep me on task as well as visually see my blog posts for the month. The next planner is my social media planner. This is where I plan out my monthly social posts! I find that planning out all of my posts before hand, helps me to stay organized and it helps me to never run out of things to post about! How Can I Make Money Blogging ? So now, it’s time for the fun part! MAKING THE MONEY. It’s important to note that you may not see the money right away, and that’s okay! I started seeing a decent, consistent income 4 months into blogging. There are so many different ways to monetize your blog + i’m going to share with you each of them! Affiliate Marketing – This is another great way to earn some side cash and start monetizing your blog! You can sign up to affiliate programs and start using their links in your blog posts! Every time someone makes a purchase via your affiliate link, you get a percentage (at no additional cost to the purchaser). This can be a super successful way to make money from your blog! Work With Brands – You can actually get PAID by brands that you LOVE by talking about and sharing their products. Create an E-Course/E-book – If you blog about a specific niche that you know ALL about, create an e-course/e-book about it! As long as you have valuable information to offer, that you know your audience will love, then you can absolutely make great passive income through your e-book/course! Blog Coach – I actually just started offering blog coaching sessions and not only is it fun but it’s a great way to get yourself off the ground! If you have a lot of blogging knowledge + enjoy teaching others, then this is such a fun way to start monetizing your blog & creating your own biz! If you are opposite and need help with blogging, check out my blog coaching service details. Sell Digital Items – Maybe you are really awesome at graphic design! Create graphics such as logos, website templates, or even printables that can be purchased! Become a Social Media Manager – Maybe your forte is managing social media. If you have a social strategy that works, offer your services to other bloggers that may not have the time to put all of their attention towards their social media, and manage it for them! This is the group that I created. I originally began Boss Girl Bloggers because I couldn’t find any other blog support group that I truly loved at the time + I was wanting to inspire others who were like me, to go after their dreams! Now Boss Girl Bloggers has transformed into a group of over 21,000 amazing female bloggers + entrepreneurs who all strive to help each other be successful! It’s an empowering community. You can also follow BGBs on instagram HERE – if you use the hashtag #bossgirlbloggers you even get the chance of being featured on BGB Instagram page! A favorite of mine! I actually got to interview the founder of Style Collective, you can check out the interview – HERE – But, Annie is the founder and she created Style Collective for female bloggers (especially fashion bloggers) to come together and support each other. She also offers a ton of content when you join, including – blog tips, how to work with brands, brands that work with bloggers, and a whole ton of other free resources once you join! Not to mention, I have met amazing ladies through Style Collective! They are always having regional meetups that are a lot of fun! If you haven’t checked out Style Collective yet, I would seriously recommend it! This is another blogger community that I recently became apart of. They also offer products to try out at a discounted price! It’s really awesome and the community is great! This is a community but mostly a platform where you can score brand campaigns too! Once you are accepted into the program, you have access to a library full of free blogging resources (including info on working with brands). They will also email you brand campaign opportunities where you can apply to collaborate with a brand (most being paid too!) InfluenceHER has scored me collaborations with Ulta Beauty, Clarisonic, + more! So I know you are probably thinking, if I want to work with brands and make money blogging, my stats need to be incredible. WELL that’s not exactly true! Yes, you need some following but the numbers don’t need to be anything crazy! I started making money at 2,000 monthly page views + 2,000 Instagram followers! As long as you have an engaged following who loves reading your content, anything is possible! BUT – I can still share with you my favorite ways to score blog traffic. Facebook Groups – This is my top source of traffic but I think it’s because I am the admin of Boss Girl Bloggers. So I would suggest, creating a facebook group that is geared around your niche! It’s a lot of work but can bring your blog a lot of success! I have a whole post on how to create + grow a successful facebook group – HERE – If you don’t want to create a group that’s fine too! I would suggest though, joining groups in your niche and other facebook support groups because they can bring your blog a lot of traffic! Pinterest – It’s no secret that Pinterest can bring your blog consistent traffic! Currently I receive 1.6 million views a month to my Pinterest page. NO, not all of those views are converted into blog views but a decent portion is! SO, figuring out a Pinterest strategy that works with your blog can bring you traffic success! This is my favorite social media to incorporate with my blog! This $15 E-Course will explode your blog traffic. Instagram – If you are a beauty/fashion blogger, Instagram is your best friend. A lot of brands will look at your Instagram when they are deciding on if they should work with you or not. OF COURSE Instagram has been real crappy lately with engagement etc. Buuuut, as much as it stinks, it can be great too! I have grown my Instagram to over 5,000 followers with engagement in less than 6 months. HERE is how. Twitter – I recently began to LOVE twitter. It’s a great way to communicate and connect with the blogging community as well as connect with your favorite brands! Retweet other’s content, engage with your favorite brands’ tweets, tweet your own blog posts when they go live, and share moments from your day. It’s really a great social media platform. Especially when trying to get a brands attention! For a complete post on 13 ways to increase blog traffic, check out this post. I hope that this helps + motivates you to keep crushing your goals! Just know that you can only fail if you give up. Pursuing your dream life is tough as hell but if you have the blogging heart, you will get there! I PROMISE! 103 Comments on How I Turned My Blog Into a Career – In Just 6 Months! Great post, Ell! I’ve loved working with you! Thank you so much for this post!! I can’t wait to start using these tips! Another great and informative post love!! Thank you so much for this honest and helpful post with a lot of valuable information! I’m pretty new so you gave me a lot of hope! This is awesome Ell! Congrats on being able to make blogging your full-time job! You have definitely put the work into it. I still have ways to go, but my goal is to make more money with my blog. I will continue to follow and read all the awesome things you have to say in your Facebook group. Thank you for sharing all this! Wow, Ell! This post is so thorough and chock full of information! I’m so glad we’ve connected and are working together. You’re a great coach and have motivated me to push myself. Thank you so much! That means so much and I’m so glad that you find my content helpful! I already know you are on the right path to success!! Such a pleasure working with you! I appreciate your time to write this post! Really well crafted. I also blog on passive income and have written article on “Become a Social Media Manager”, Check it out, if you want! This is a great essay! I’m bookmarking it and coming back. I’m only a couple months into this whole process and I love these tips! You are amazing ! Thanks for all the super handy tips. I have to agree – you need to treat your side hustle like it’s your main drive. If you don’t put 100% into it then you won’t get what you want out of it. Keep hustling babes – success is calling your name ! For sure will use some advises from you. Thank you! Thank You so Much Ell. This post is so helpful!! I found so many things I can relate with! Great job and keep on going!! Thank you so much for this blog post. I’m a hobby photographer looking to start blogging in 2018. Currently working on my website & social media pages. I’m currently on IG as @amber.laviolette.photos but in 2018 i’ll be starting a travel blog all about my adventures in my homestate of Louisiana. I’ve reached out to a few Louisiana travel/tourism businesses but so far they are all asking for references which I don’t have because i’m just starting out so your words of encouragement not to give up are definitely something I need to follow right now. Thanks for inspiring us to follow our dreams!! I’m two months into blogging and feeling overwhelmed so this was really encouraging. I want to become a full-time travel blogger by January. I’ve taken a couple of travel blogging classes and feel that I have all the information I need to be successful. But there’s still that voice in my head telling me this is a waste of time. It doesn’t help that my family doesn’t quite understand what I’m doing. I really want to get organized, decide on a posting schedule, and be consistent. It’s just hard to stay motivated sometimes, and I get discouraged when I put up a new post and only 10 people read it! I really appreciate this article though. It gave me a little boost of confidence in my decision to become a blogger. I know it will not be easy but I can see myself achieving my goals within the next 6 months. Great , how long does it take you to write one of these? Do you have a blog post writing day? Your content is so good that it is very hard to unsubscribe from your list! This post was so inspiring! I just recently launched my blog this past week but I definitely have big plans for it. All of your content is so helpful! Thank you for sharing all of your tips! This is so inspiring and wonderful. I loved reading this so much! I have a question though, when did you start actually monetizing your blog? Did you start right away? Thank you and I love your blog so much! Thank you so much!! And welcome to blogging, it’s so much fun! You will love it! Random question, how do you go about engaging in Style collective? Forums? podcasts? Thanks!! Hi Ell, this is such an amazing post and great tips! I will be implementing these very soon and I am definitely working on monetizing my blog better this year. Love this post! It’s jam-packed with tips and information — but it also shows that truth of blogging: it’s A LOT of work! I need to be more disciplined and focused in order to make it work for me. Thanks for all the ideas! It sounds like you were meant to be an entrepreneur. You just needed to go through some things before it came out of you. Thank you so much! I think you are so right!!! Grow through what you go through is what they say. Every thing happens for a reason. So much motivation here. Thank-you very much. This is super informative. I’m preparing to launch my blog in less than a month with every intention of having it make at least my full time salary at my current job. I appreciate the wealth of knowledge! Do you use a service to back up your blog? Loved reading this! Thanks so much for all your tips! I feel like I’ve searched the whole internet looking for honest, straightforward information about where to start. I’ll be going back through and following your advice, can’t wait to see how it all goes! Yay! I’m so excited I could be of help(: thank YOU!! I came across your blog from Pinterest and I have fallen in love. I loved reading your story at the start and this has so many useful tips. I’ve been considering going self hosted and it’s definitely going to do soon, hopfully! There are so many useful tips and i hope maybe you can help me in the future. Thank you so much for you support! I definitely will in the future. Very well written! I too spent a lot of years as a server, so I feel your pain. Keep doing what you’re doing! Thank you so much! & So glad someone can relate! I’m already a part of your FB group. It’s been very fun and enlightening. Great ! Just great advice without being pushy to sell! My brother and I started a web services business to help new businesses and will be starting our business blog next week. http://www.dppwebblog.com and I would like to connect and refer to you for new bloggers. Me being the adventurous one will be starting my own personal blog http://www.msbratscorner.com which will focus on a totally different topic changing the stigma about mental health and students with disabilities and their educational rights! I look forward to connecting! Thank you so much! So glad you enjoyed it and love any support! Your site also sounds amazing, and a good cause! Mental health is so important!! Well written and Comprehensive article. Found this tips herein, very useful especially at this stage where am developing my blog. Thanks for sharing. Such a great post! This was super helpful! Thank you! Thanks for sharing. What a wonderful blog post. I enjoyed reading your blog post. This was a great post! Very helpful to me starting a blog for the first time. I’m in love with this theme. What is it called? This is very useful information and thank you so much for sharing it with us, something you, through a process of trial and error, discovered. Much appreciate this experience and knowledge for the rare and special price of FREE. I also wanted to add that as a writer who doesn’t pitch for and about products, at this point, per se, I do pitch to publications about certain stories and I have found that it is the safest bet to pitch about a single theme to one publication instead of pitching that theme to multiple publications in a single week. Rather, I wait about a week between the initial pitch and the re-pitch before I decide to pitch it to a different publication. I hope that makes sense and I thought this might be useful to storyteller bloggers who need exposure of their work. I love the encouragement and positivity here, Ell! I always know I can trust your research and feedback. That’s a hard thing to create amidst a ton of misinformation. So happy I found you and we’re internet buddies. So proud of your accomplishment and growth too. You so deserve it. We all have a different road to go like with you dropping out of college. I dropped out of HS and got my GED. I eventually got my college degree, but it took a long time before I figured out that’s what I wanted to do. You’re paving your own road, girly! So glad we got to connect too!! Your journey is so inspiring! We do all have different roads and no road is better than the other! As long as we find ourselves along the way (which we will) each road is special and happens for a reason!!! Thank you for your sweet words! They mean the world to me! Wow, this post has helped me so much!! Most of the time I am overwhelmed with the information in “start your own blog” posts but this was clear, concise and to the point. I am beyond thrilled to try your Ecourse and really dive in, praise Jesus for an affordable Ecourse! Thank you for giving back and empowering women! Thank you for this post. I needed it today. I’m in my third month blogging and I’ve made $6.38. There have been so many times i’ve doubted myself and when that happens I go searching for motivation like this post. Great advice, definitely keeps us newbie bloggers going! This was really an amazing post! Haven’t got enough information in any blog as much as I got in this one. Almost cried while reading this coz I feel you girl. How much negativity is there around us when we want to do something different. So glad you liked it thank you so much!! What a fantastic and comprehensive post Ell, great job! Wow! What a comprehensive post on your journey thus far! And 1800 a month on the first year of blogging is amazing! I’ve been running blogs since the early 2000’s but never been really good at monetizing anything 😆 Keep it up!! That makes me so happy to hear! Thank you so much! Anything is possible!!! Wow, this is such a comprehensive and informative post. I’m definitely going to take some of these tips on board. Thanks! I know I’m extremely late to this post but I am glad I came across it! I completely agree with you on “the degree” front… I am a college graduate but I did it because everyone preached, “you can’t get a good job without a college degree.” While I followed society’s motto, I had the aspiration of creating my own blog that would focus on clothes and style, I was obsessed! Well, still am. (: It took me almost 10 years to finally create a blog and go after my dream job. There were so many factors that held me back, mainly myself… but I’m so much more confident and motivated now, not to mention drowning in school loans…but I hope one day I can be successful and happy doing what I love, with the help of your fabulous tips of course! Thank you for this blog post. I’m learning so much. Congratulations on your explosive growth. Earning a fulltime income so early in the game is unheard of! It’s encouraging to see others making such an impact in a short period of time. Thank you so so much!! !It definitely took a lot of hard work but it was possible! This post is so encouraging! As someone who just started their blog I’m so excited to see where it takes me and I’m hoping it will become a steady source of income for me as well! Thank you so much! I’m so glad you enjoyed it! Keep going and don’t give up! The money will come with time (: you got this! Thank you so much for taking the time to compile this thorough and detailed post. I am especially greatful for the support group information—I’ve read of these groups time and time again but have never found an article that gives information on where to start with them. Am just starting to really dig in to my blog, and this post was so helpful. Thanks again! Thank you so much for your sweet words! Means a lot to me that you found this to be helpful!!! (: Can’t wait to see where your blogging journey takes you! My favorite line: “If you think you’re great then you will achieve damn greatness.” Thank you for just the right mix of inspiration + practical advice! How could I possibly have missed this blog post?!?! It’s awesome! Thank you so much for sharing! I will definitely keep this post in mind as that the ultimate goal I want to achieve!! The sooner the better! I’m currently not working so I’m trying to make the most out of this free time! Hey Ell! Just dropping some love here! Thanks for sharing this valuable information with us. I just created my own facebook group as well. Youre the inspiration behind it. So thanks so much! Hi Ell, I really enjoyed your post, and was wondering if you could look at my blog and tell me what you think please. This is such an amazing post and I am so happy that I read it. I just purchased one of your courses and am so excited to get started. I am so passionate about blogging and now I want to take it to the next level. You are seriously inspiring. I’ve been reading a bunch of your blog posts all day! Thank you so, so much for sharing all these amazing tips with us. Thank you so much Colleen! That makes my day to hear!!! I love helping! I hope you enjoy the course (: Just don’t ever give up and you will be making money in no time! This blog is seriously good writing and well put together. I have done a LOT of research on blogs and how-to’s. I would for sure recommend your blog and return to find more information on starting my own blog. It is inspiring and informative. I am excited to get to work on my own blog. Here’s to the start of something great!! –or damn greatness!! I’m pretty sure I read this post for the first time about a years ago. It was one of the posts that inspired me to try it out! Unfortunately, I struggled with the web design and finding my niche, so I gave up after only a few months. Since then, though, I’ve still had the itch to try and make it work. A couple months ago, I decided on my niche, and found a web designer to help me get my site up and running again!! I would love for this to be my full time job by the end of this year, and from what I have read, many bloggers who set solid goals and are dedicated to it are able to achieve full time status in less than a year! I just need to work on my organization skills and take it as seriously as I take my day job. Aw thank you so much! So glad you are back at it and making new goals! I know this will be your year, don’t give up! 😭 Your story resonates so much… I’m there right now, fed up with jobs that don’t pay the bills and literally keep me physically and mentally sick; unable to get jobs I know i’d be capable of…but my lack of direct experience and education gets me immediately overlooked. Getting a good job feels like so much more work than actually working it….and a “good job” doesn’t even sound all that great. The self doubt has been immense, and have held me back month after month from truly hustling to make my blog work. That, and having no idea how to viably monetize! My self confidence has suffocated half to death with my recent job hunting struggles… Building that back up is a hurdle. But it’s wonderful to be reminded that having a successful blog isn’t completely out of reach! I know what i want to do with my blog, and i know how much i want it! But fear is still holding me back a little. Thank you for sharing your story and this treasure trove of tips and resources! Aw thank you so much Alissa! Is so great to know we aren’t alone!!! I have faith that you will be able to turn your blog into a career and pursue your passion full time! Don’t ever give up!! !